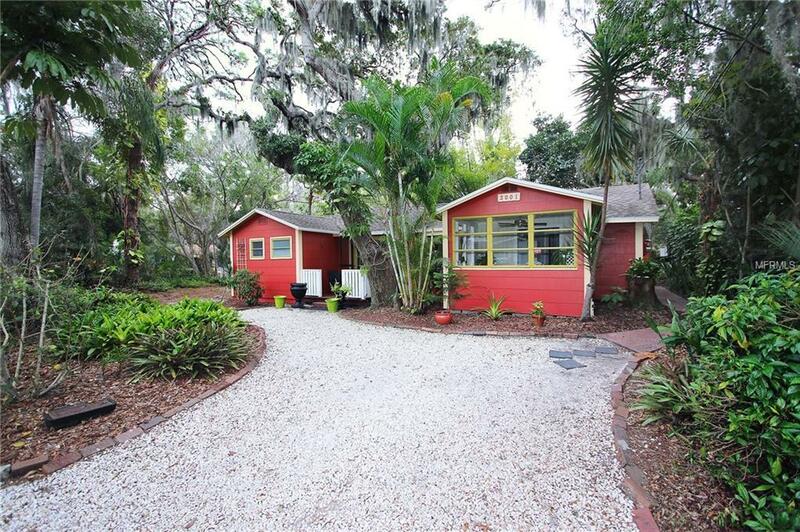 1915 Gulfport bungalow, one block away from Boca Ciega Bay in the heart of the downtown art district - 2 bedrooms, 2 bathrooms on a double corner lot with room for RV parking in a tropical setting. Original cedar plank flooring invites you into your cabin in the woods. A must see! Listing provided courtesy of Foresite Residential R.E..